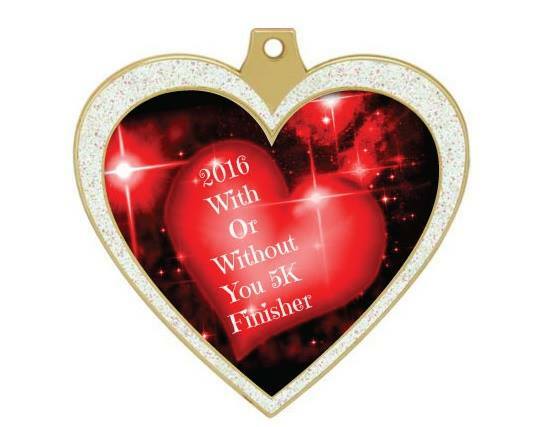 What do a husband and wife who are crazy about running do for Valentine's Day? They go run a race together, of course! Michael and I have been married for over sixteen years. Yes, it's sweet sixteen! We ran our first race back in September of 2012, so we've been running now for over three years. 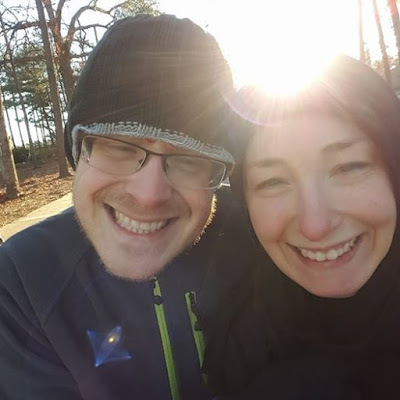 I've spent a lot of that time running 5Ks, throwing in a few 10Ks, but hubby has challenged himself with 5Ks, multiple 10Ks, 15Ks, a few half marathons, and a marathon (Chicago). So it's pretty obvious, we love running races, but we've never run a race TOGETHER. We've participated in the same races (like our first), but Mr. Speedy (my nickname for hubby) usually pushes ahead and finishes way before I do. However, with this race, it was mandatory that we cross the finish line together. My 5K times have been a bit slow lately (compared to previous races), so to run WITH Mr. Speedy was challenging, and motivating. He pushed me to run when I just wanted to walk, and hand in hand we crossed the finished line (cue the marriage metaphor). As a result, my time for this 5K was 36 minutes, and that makes me heart happy - just like my hubby does. At the end of the race, we got our finisher medals (above pic), and we also got our shirts and boxes of chocolates! #yummy The course was good, the race very organized, and we even got some professional race pics (below). Overall, it was a great race, and I hope we can fit it in every year. I highly recommend it! And if you are thinking about starting your own running journey, do it! It is a very rewarding sport, and it fosters priceless memories.